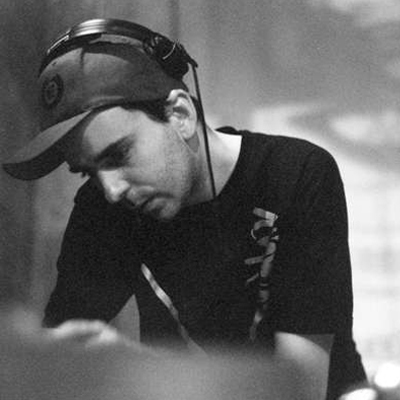 Redeyes emerged as a DJ on the French drum & bass scene in 1999, quickly gaining a reputation for his eclectic selection and tight mixing skills. In 2001 he formed part of the Audiabrasive collective and soon embarked on a number of residences in Toulouse, supporting the likes of Fabio & Grooverider, Bryan Gee, Dj Marky, Ray Keith, Craggz & Parallel Forces, Bad Company, Nu:Tone, Commix, Break, Kemal, Ruffstuff..More recently bookings have extended abroad, from the legendary Swerve sessions at the END nightclub, Movement @ Bar Rhumba, 1xtra BBC radio (guest to Ldouble connection show), to Tokyo, Bangkok, Pekin, Munich, Paris, Moscow, Auckland, Berlin, Budapest, Madrid, Ljubjana, Vienna, Wellington, Perth etc. Initially listening to hard rock as a kid, Redeye’s ears soon caught onto hip hop as it emanated from across the Atlantic and into France during the late 1980’s. Record digging culture then unlocked his ears to the wider gamut of Afro-American music – jazz, soul, RnB, dub and funk, while an open-ness for the rapidly developing landscape of electronic sounds drew Redeyes to the jungle sound. It was only fairly recently (2003) that Redeyes’ passion for music urged him to take the step into production, and his rapid development is a testament to the effectiveness of tools such as AIM and readily available music production software, which have proved powerful catalysts to emerging talent these past few years. Today Redeyes’ productions are played by Roni Size, DJ Marky, Gilles Peterson, Laurent Garnier, LTJ Bukem, Fabio, Grooverider, DJ Zinc, Goldie …, his tunes get regular support on radio (Radio One/ 1Xtra, Kool FM, Life FM, Origin FM..) and with releases on Bingo, Creative Source, Innerground, Brigand, Spearhead, remixes for the legendary Ninja Tune label (Bonobo “the keeper”) and the famous Tru Thoughts records (home of Alice Russell, Quantics, Maddslinky, ect)… …it looks as if we’ve only just heard the tip of the iceberg in terms of his output. His debut album was released on Spearhead records, with some mighty collaborations (Random Movement, Mutt, Matrix remix, Deeizm, ect) and other releases feature a collaboration with Detroit producer Sinistarr on the one and only Metalheadz Platinum (Solar 9) and a 12 on Flight’ PLAY:Muzik (Moves/Sitting back). He’s also working on a downtempo project under the alias of Tr3lgY (TRILOGY) with Youthman and Luce, they’ve been signed on a Gilles Peterson compilation “brownswood bubblers”.